Circa A.D. 950 to 1150. 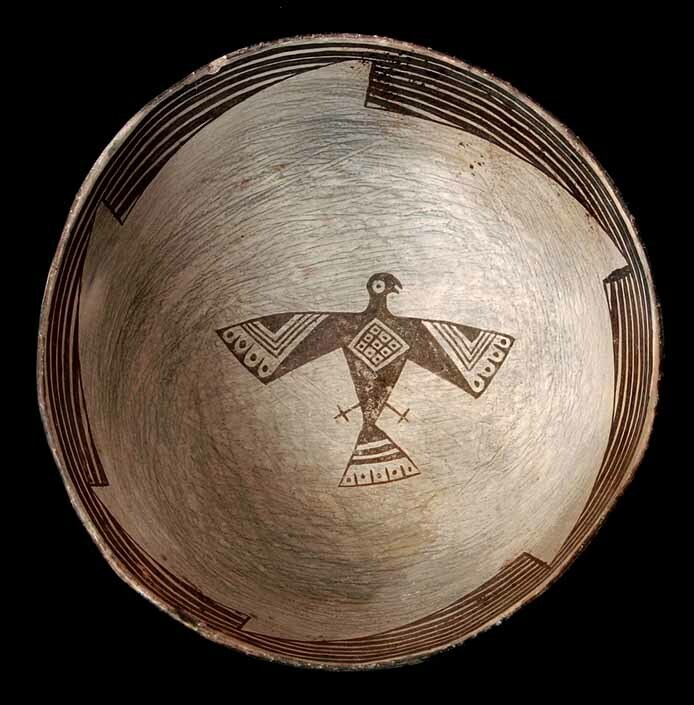 Pre-historic New Mexico, Mogollon Culture. This bowl is in mint condition, as it escaped receiving a "kill" hole. It depicts a raptor in a triumphant arising with intricately stylized decoration.